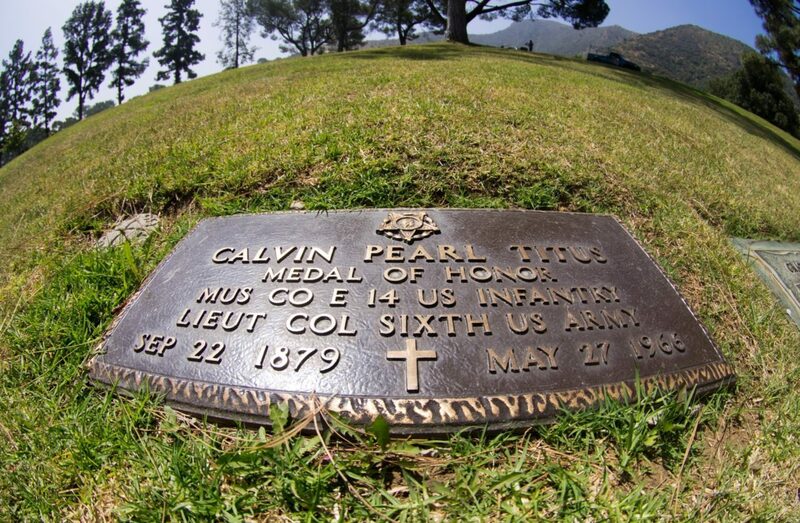 On August 14, 1900 U.S. Army Corporal and Trumpeter Calvin P Titus performed a daring exploit that resulted in his being awarded the Medal of Honor. 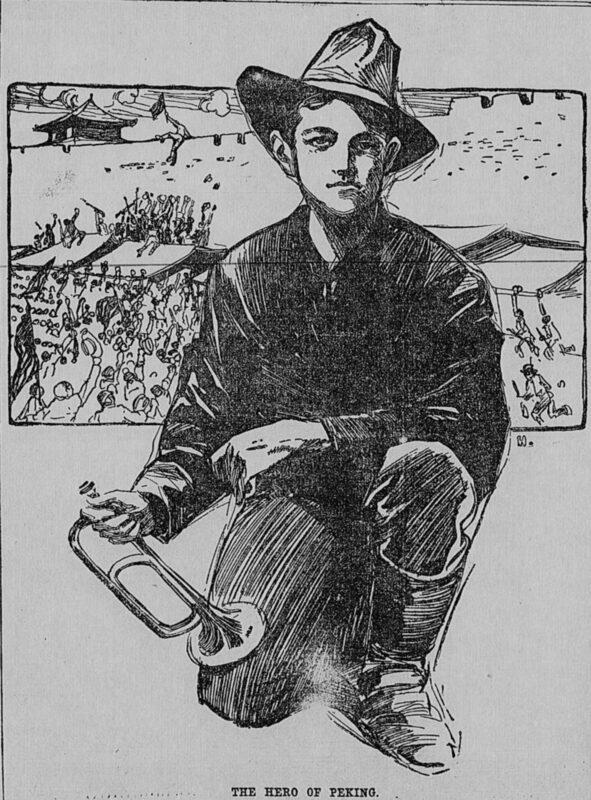 Calvin credited his time in his uncle’s evangelical band with giving him the bugle skills to join the armed forces and eventually leading him to Peking. 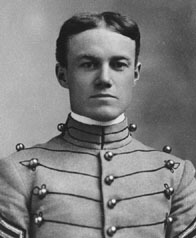 Calvin Pearl got into West Point as a result of his Medal of Honor, where President Theodore Roosevelt’s presentation of his medal was the climax of a ceremony to celebrate the academy’s centennial. 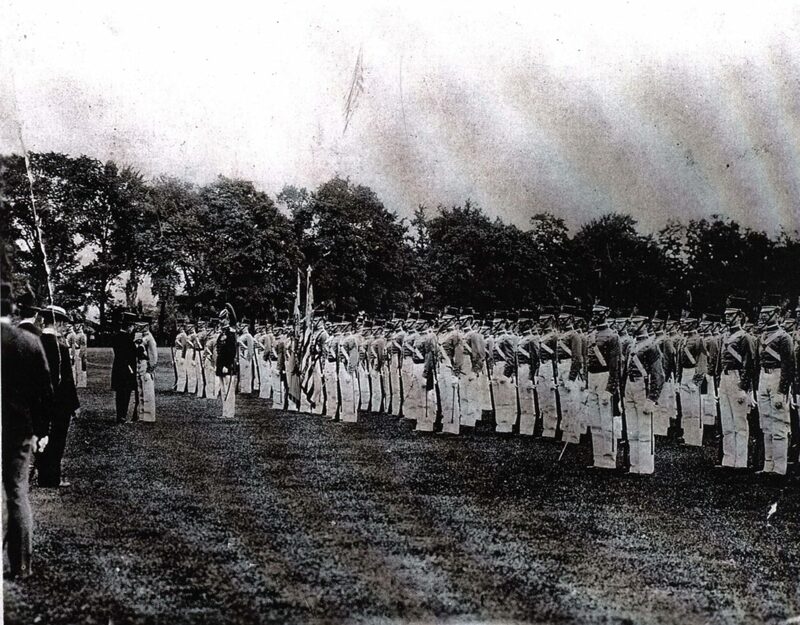 His religious upbringing led him to try to become an Army Chaplain but his denomination was not at that point in time recognized by the Army. He became a Chaplain’s assistant instead. He retired from the Army with the rank of lieutenant colonel. 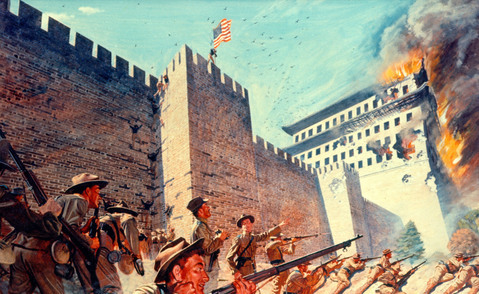 During the fiercely opposed relief expedition to Peking in the Boxer Rebellion in 1900, when two companies of the U.S. Army’s 14th Infantry Regiment were pinned by heavy fire from the east wall of the Tartar City and the Fox Tower between abutments of the Chinese City Wall near Tung Pien Gate, volunteers were called for to attempt the first perilous ascent of the wall. 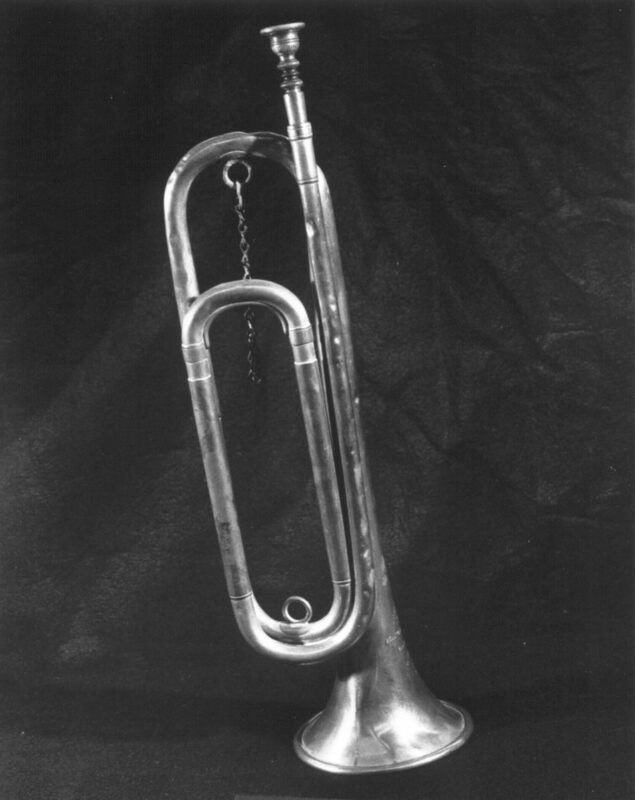 Trumpeter Calvin P. Titus of E Company immediately stepped forward saying, “I’ll try, sir!” Using jagged holes in the stone wall, he succeeded in reaching the top. He was followed by the rest of his company, who climbed unarmed, and hauled up their rifles and ammunition belts by a rope made of rifle slings. As the troops ascended the wall artillery fire from Reilly’s battery set fire to the Fox Tower. In the face of continued heavy Chinese fire, the colors broke out in the August breeze as the sign that U.S. Army troops had achieved a major step in the relief of the besieged Legations. 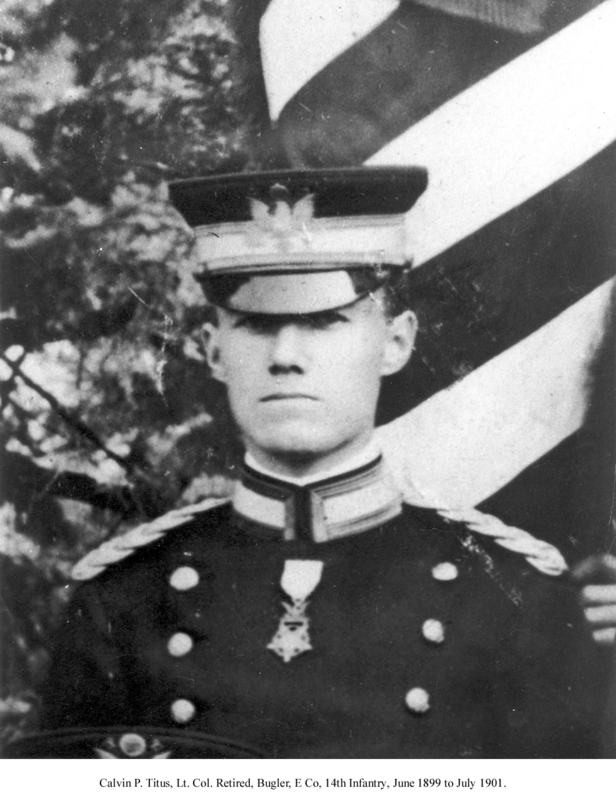 For his courageous and daring deed in being the first to climb the wall, Trumpeter Titus was awarded the Congressional Medal of Honor. 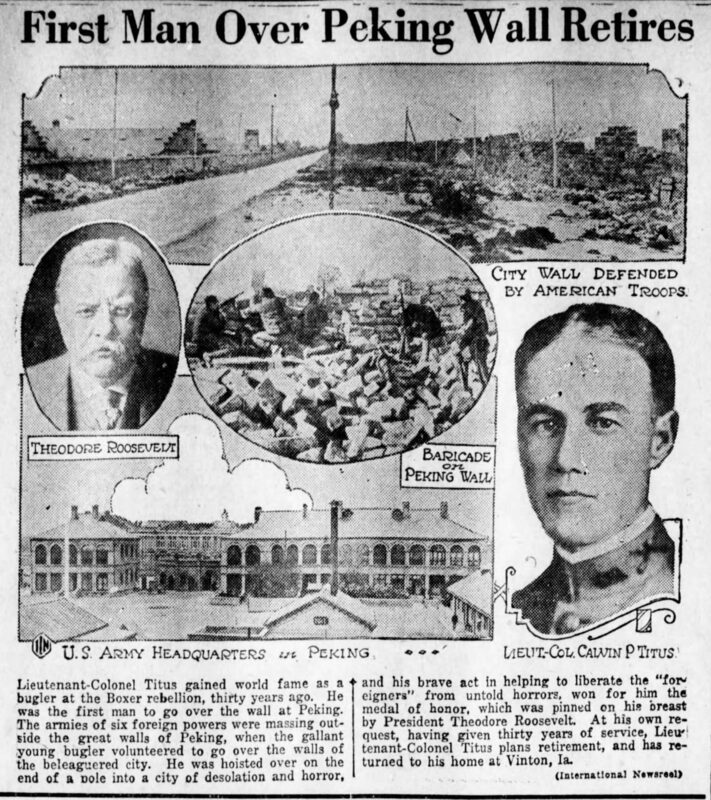 In 1902 President Theodore Roosevelt traveled to the academy. 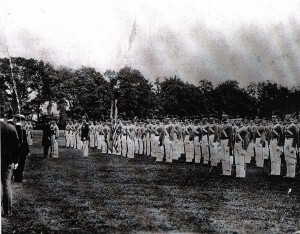 The presentation of his medal was the climax of a ceremony to celebrate the academy’s centennial. Titus went onto a career in the US Army. By the time the U.S. entered World War I, Titus was a major, and was promoted to lieutenant colonel before Armistice Day. He performed administrative duties in the States and did not go overseas until after the war. 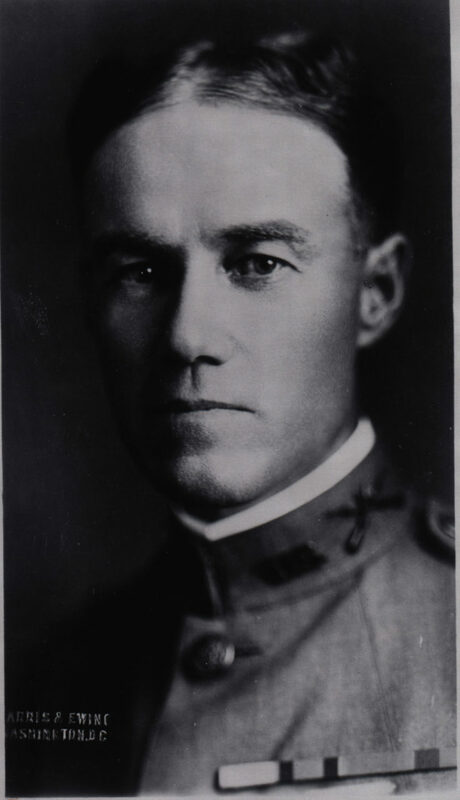 He returned to Iowa to run the ROTC program at Coe College in Cedar Rapids, Iowa, for six years, retiring about 1930. Rank and organization: Musician, U.S. Army, Company E, 14th U.S. Infantry. Place and date: At Peking, China, August 14, 1900. Entered service at: Iowa. Birth: Vinton, Iowa. Date of issue: March 11, 1902. 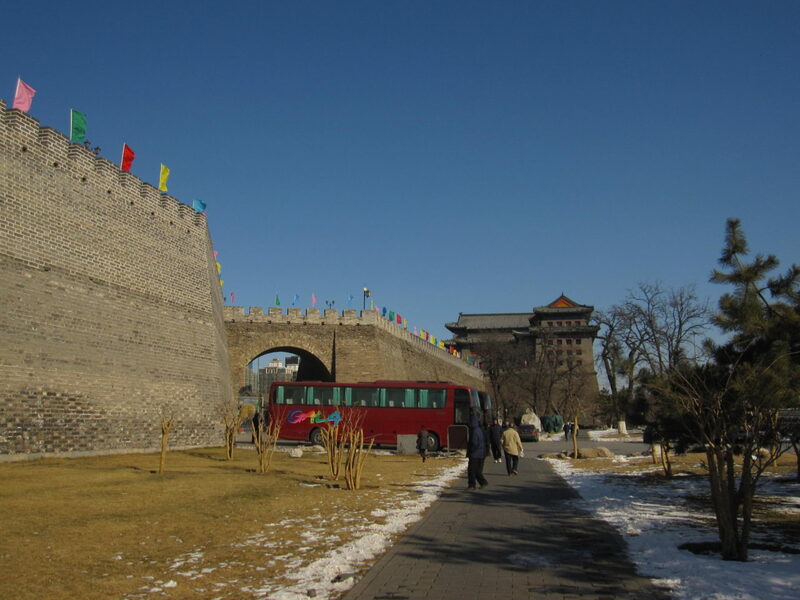 Gallant and daring conduct in the presence of his colonel and other officers and enlisted men of his regiment; was first to scale the wall of the city. 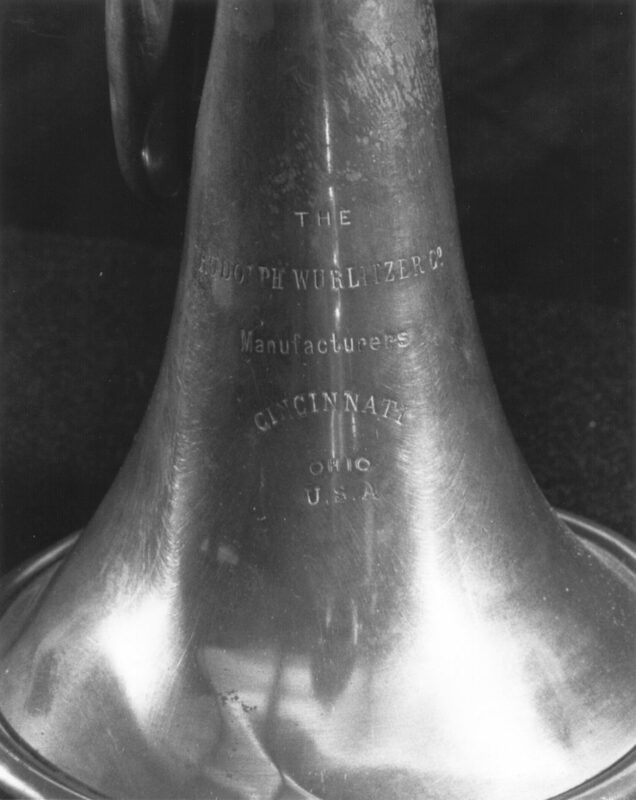 This entry was posted on Thursday, February 1st, 2018 at 9:11 pm	and is filed under Bugle Stories, Buglers Through History, General Interest, Getting Started on the Bugle, History of Taps, Jari's Articles, News. You can follow any responses to this entry through the RSS 2.0 feed. You can leave a response, or trackback from your own site. Thank you, Emily, I appreciate your kind words. I recently learned that my dad’s, my grandfather, dad, served with Patton in the Army’s efforts to stop Poncho Villas’ raids across the border states. This matter was the birth of mechanized warfare as motor cars were used. Incredibly, my grandpa, was recalled to active duty in the Army at America’s entry into WWI, and again served under Patton. I located some old papers varying this fact. Neither my father nor my grandfather ever mentioned this and, as a kid, I knew never to ask them about the wars’ impacts on them both. My dad retired from the Air Force after serving in WWII and Korea, and my grandpa went on to be a dentist in North Field, Minnesota. I am a retired Marine Corps “mustanger” and a combat vet from Vietnam.